Winter needs to go on already. I am so beyond ready for sunshine and time on the water, and so over sweaters and being forced to drag along a jacket wherever I go. 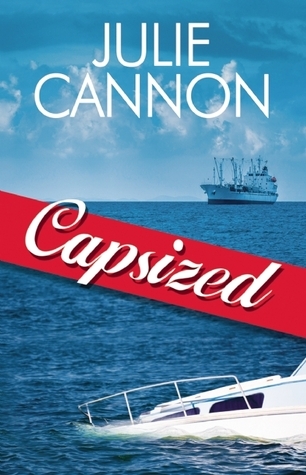 So seeing Julie Cannon’s newest book about adventures on the high seas grabbed my attention and I thought I would give it a whirl. Alissa Cooper owns a very successful advertising agency in Boston. She is driven to be successful and deliver top not work to her clients. Long hours and heavy workload in the office propel Miss Cooper to taking what downtime she has out onto the water in her luxury sail boat. Late one night after spending the day on her boat, her vessel catches fire and burns to smithereens leaving her stranded in the middle of the ocean with nothing but a life vest on. Bert Coughlin is the captain of her own commercial fishing boat. Bert is a hard working woman who knows that her fishing capabilities feed the hard working men that work for her. Fishing is serious business and nothing gets in her way, not even a stranded advertising executive. Bert’s crew literally stubble and find Alissa while they are headed out on three week tuna expedition. Alissa is forced to come along for the ride, and share Bert’s bunk space. This book left me wanting more. There is so much of Burt and Alissa’s story that was left untold. Why did the book end when it obviously needed about 10 more chapters of information? Why did Alissa’s boat burn down, was it nefarious in nature or just an electrical malfunction. What about the appearance of the ex-prison inmate ex-girlfriend. Is she seeking revenge? So much left unsaid, and not in a good way. Plot holes drive me crazy! This book is a fine, nice read but it left me hanging, and wanting it to be more than it was. I was given this ARC by Netgalley & Bold Strokes Books.